The dog’s loyalty was indescribably touching. This is the story of a dog named Cesur, whose loyalty has touched the hearts of many after his owner passed away earlier on. His owner, Mehmet Ilhan, was a paralyzed 77-year-old man who adopted Cesur for companionship. Their bond was extremely strong – so much so that the pair had remained inseparable for more than two years. However, tragedy struck. Mehmet became hospitalized for several days at a hospital located in Turkey’s Bursa Province. This had caused Cesur to become so upset that he had stopped eating. When Mehmet passed away in January, Cesur led the procession at a nearby mosque. 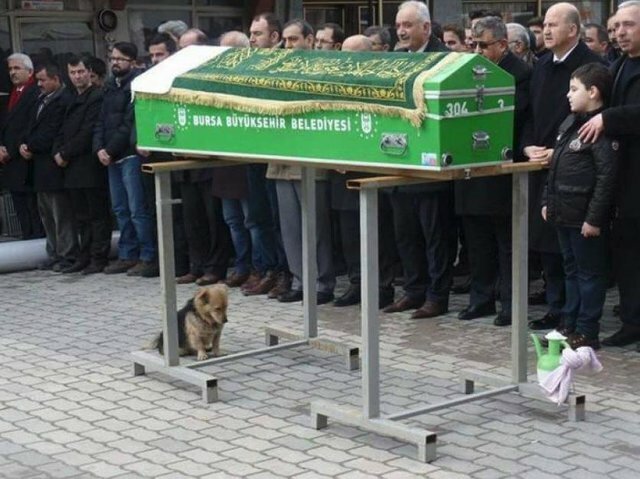 The dog stood by the coffin the whole time, never leaving Mehmet’s side until the ceremony was over. 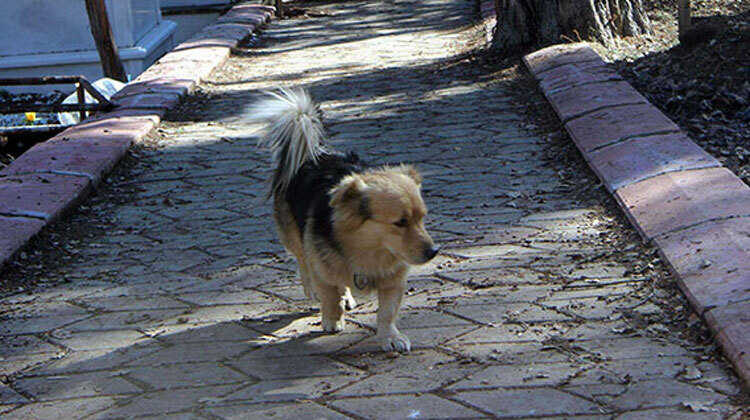 Mehmet’s son, Ali, was able to take Cesur in, but the dog was still mourning the loss of his former owner. Ever since the funeral, he has developed the habit of going off by himself. Even though Cesur always returned to Ali, the man was still curious about his whereabouts. He then decided to follow the dog one morning, and saw Cesur heading directly into the graveyard. Staff members who work in the cemetery says that the first thing the dog does in the morning is to visit and pay his respects at the grave where Ali’s father was laid to rest. 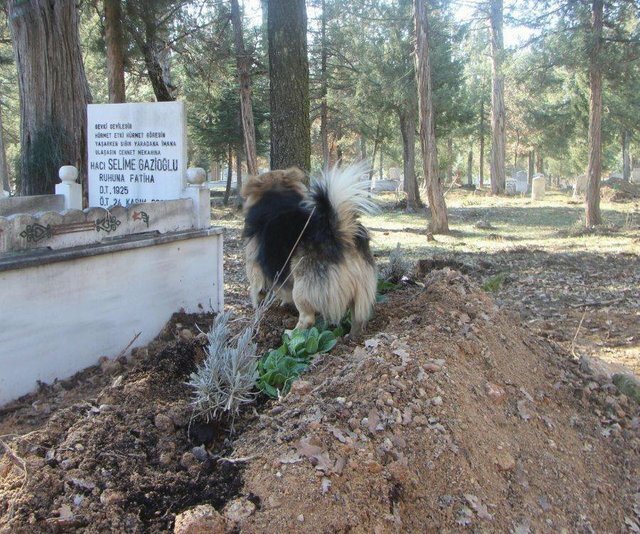 Turns out that this little dog has been spending every morning visiting his late owner’s grave. 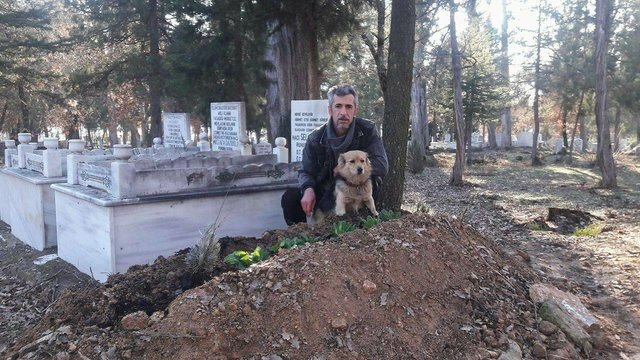 Even after death, Cesur continues to show his everlasting love and devotion for his former owner – how touching is this?